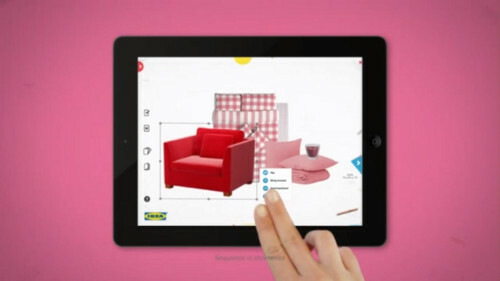 To launch the iPad version of the Ikea-catalogue in Norway, ad agency SMFB created a brand new Ikea product called “Beröra”. 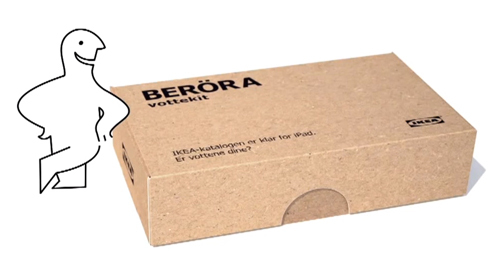 “Beröra” was a sewing kit with a special conductive thread to sew into say the index finger of your favorite gloves. Once the operation was done the gloves would work on a touch-screen. The promotion generated a lot of interest and 12,000 of Ikea’s sewing kits were distributed for free in just two weeks. Summer is usually somewhat of a slow period for Ikea in Belgium and Ikea wanted to change that. 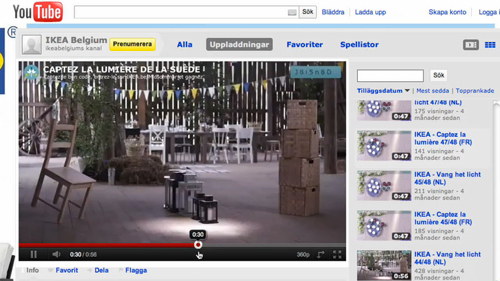 Instead of traditional advertising with Ikea’s summer offers, they created an interactive YouTube game where the audience, by viewing 48 different ads, was challenged to catch the Swedish light. As one can’t do ‘frame-by-frame’ on YouTube, people had to pause the spot in the exact right moment when the light hit a product. In that unique frame, a yellow code would appear in the top right corner. The first person to validate the code on the summer microsite, would win the product instantly. Last month Ikea in Sydney, Australia ran a four-day trial of Manland. They created a dedicated area in the store which men with short retail attention spans could use to escape the pains of weekend shopping at Ikea. In simple words it was a day-care for husbands and boyfriends who wanted to take a break from the shopping. The store offered free hot dogs, Xbox consoles, pinball machines and nonstop sports action on TV. Ikea even gave a buzzer to remind girls to stop buy to pick-up their men! To show the versatility of Ikea, ad agency Lemz Amsterdam sent out a different commercial every day. 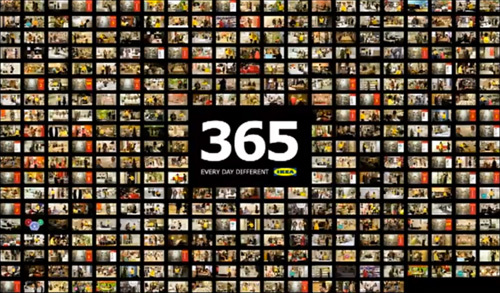 Thats 1 commercial everyday for 365 days! To achieve this they made 15 commercials in a day! This ensured that they were ahead of time to deliver daily ads that would feature both online and randomly across TV stations. This is the case study film of the campaign, which still continues today.